It goes without saying that if your swimming pool’s components and water aren’t properly cared for and maintained, you and whoever else uses the pool are being exposed to a series of dangerous germs and risks, particularly when it comes to your pool’s water quality. If you’ve recently installed a pool in your property, have not being applying the correct level of maintenance to your current pool, or simply aren’t up to date with health and safety practice and procedures, then take a minute to get informed by looking over these simple pointers. Is the bottom of your pool visible? Has the water clarity changed overnight? Is there a cloudy/murky appearance? Does it smell overly chlorinated? Are the pool walls slimy? If you answered ‘yes’ to any of the above then the correct pool maintenance has not been applied. 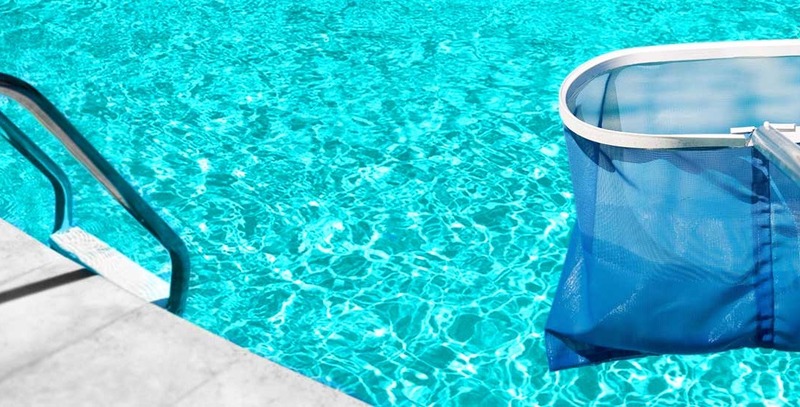 Filtration – using a pump, water is filtrated to remove as much debris, dust and grime as possible, depending on the amount of chlorine present and your pool’s size. Chlorination – chlorine rids your pool of bacteria that your filtration system cannot reach. The levels of chlorine required depend on a number of factors, including how long your filter cycle is, your pool usage and your pool’s environment. Calcium hardness – otherwise understood as the level of mineral calcium dissolved in your water, this can cause scaly pool surfaces (from high calcium hardness) or deteriorate your pool’s surfaces (from low calcium hardness). Total alkalinity – your pool’s ecosystem is very fragile. If your total alkalinity (sum of all alkaline chemicals) levels are off, so are your pH levels. Furthermore, low alkalinity sums can lead to deterioration of your pool’s surfaces. pH levels – a neutral pH level of 7 is ideal. Any count above 7 indicates high alkalinity, whilst a pH level below 7 means high acidity. Unbalanced pH levels occur from any number of changes in your pool (e.g. rain) and are what cause rashes and sore eyes in swimmers. Check your water’s chemistry 2 – 3 times a week (before a swim). Extra attention to chemical balance in hotter weather is necessary. Regularly brush and vacuum your pool floors and surfaces. General swimming pool cleaning is the simplest way to avoid accumulation and acceleration of contamination. Regular (weekly in summer) pump, filter and skimmer box checks will help you identify a problem before it becomes serious (and pricey). Monitor water level every month. With any defects and unidentifiable causes, seek the help of experienced professionals from reputable companies such as Waterline Pool Services. Store you pool chemicals out of direct sunlight and follow instructions diligently. NOTE: heated pools require more chlorine therefore need to be monitored more frequently. Multiple treatments and means of protecting the health and safety standards of your swimming pool are necessary in order to reduce hazards such as infection, rashes and injury. When these guidelines aren’t followed and professional pool services aren’t sought out when needed, you are putting those who enjoy the benefits of your swimming pool at risk. Try giving the pool professionals at Waterline Pool Services a call for a maintenance check-up, further advice, or assistance in any swimming pool repairs and equipment installation. A combination of your regular upkeep and the attention of a professional pool services expert when needed will mean endless summers of Marco Polo and Cannon-Ball without those sore eyes, unsightly surfaces and unhealthy water quality.